Ever walk down Canal Street in Manhattan and end up bombarded by huge black bags full of counterfeit and knockoff purses? Or hear the men slyly whispering “Gucci, Prada, Chanel” in your ear? I know I definitely have. While these peddlers do try to evade the police, they are out in the open and are quite accessible for police to catch and prosecute. But now, in the digital age we live in, many of those vendors have moved their businesses to the Internet. This clearly makes their capture more difficult. Today, the online market for counterfeit goods exceeds a shocking $140 billion annually. For sites registered in the United States, it is possible to find the owner behind a specific domain name, file a temporary restraining order, and likely have the site shut down. Because this method was so successful in stopping the counterfeit sites based in the U.S., many online sellers were pushed to China. Today, more than 75% of counterfeit goods sites are located there. Last Friday, the Fordham Fashion Law Institute, along with the U.S. Chamber of Commerce’s Global IP Center, hosted a roundtable discussion for six visiting Chinese Judges to tackle this very issue. The first speaker was Robin Gruber, Vice President, Global Brand Protection, of Chanel. An extremely desirable brand, the fashion house Chanel is plagued by counterfeits and knockoffs. Thus, Gruber has quite a difficult job. However, she explained that Chanel has come up with an innovative way to stop these Chinese sites. First, Chanel started writing letters to the service providers in China asking for service to specific domain names to be cut off. But this method did not work because the sellers would simply move to another domain name. So the solution, which has been a success, involved Chanel suing and claiming in rem jurisdiction over an actual domain name rather than a physical person or corporation. The basis for this type of lawsuit is grounded in the fact that the U.S. maintains jurisdiction over all generic top-level domain names, such as .com, .net, .org, because site registry is ultimately based in the U.S. In doing this, Chanel was able to bypass the Hague Convention standards and serve process through e-mail. Quite the example of a classic fashion house making the most of this modern techno-centric era! At the roundtable discussion, the Chinese judges were asked if this type of action could be implemented in their country. 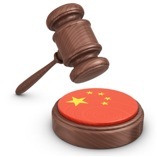 The judges stressed that Chinese laws require suit against a physical human or company. In the lawsuits Chanel has won, Chanel takes over the domain names and posts a message regarding the sale of fake goods on that site. Since November 2010, Chanel estimates that 1.4 million visitors have hit sites that contain Chanel’s anti-counterfeiting message. These numbers should signal to other companies that it might be time to hop on the bandwagon and follow Chanel’s lead! 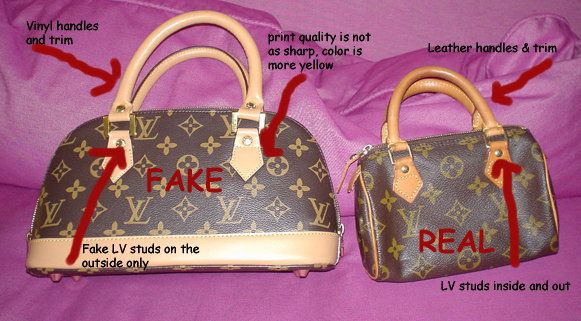 What else could brands do to shield themselves from this massive online counterfeit boom? David Silver, counsel for MarkMonitor, suggested that companies need to protect themselves by implementing a comprehensive prevention, detection, and enforcement plan. This plan, Silver explains, requires two approaches: legal action and effective arbitration. While both have their pros and cons, their combination is necessary to combat counterfeit goods on the Internet. So what is the best mechanism for preventing the sale of counterfeit and knockoff goods over the Internet? Does Chanel have the right idea or is there a more savvy approach? Specialists in the field continue to tackle these questions and hopefully the ideal solution will be found faster than the bootleggers can finish whispering “Gucci, Prada, Chanel” into our ears.